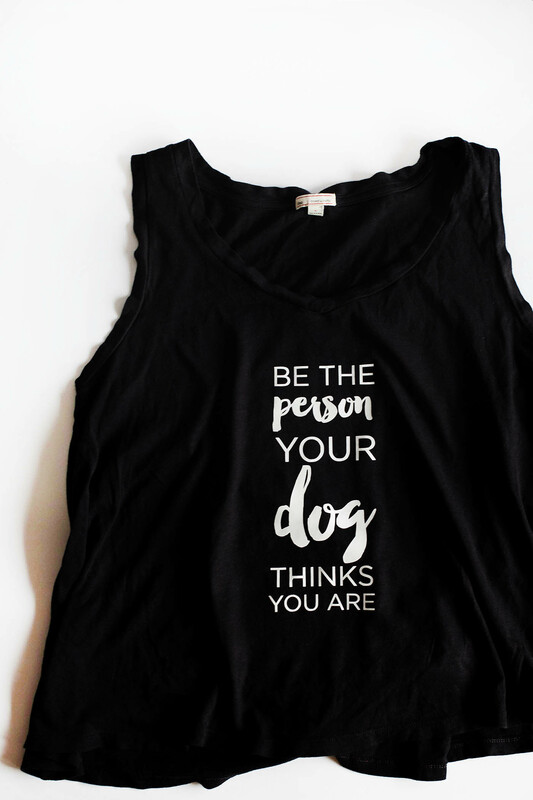 Have a dog lover friend? Or maybe you’re one yourself. I have the PERFECT DIY (or just a printable if you’re not crafty). Thanks to I and love and you Total Pet Care for sponsoring this post! I am a dog person in case you didn’t know. 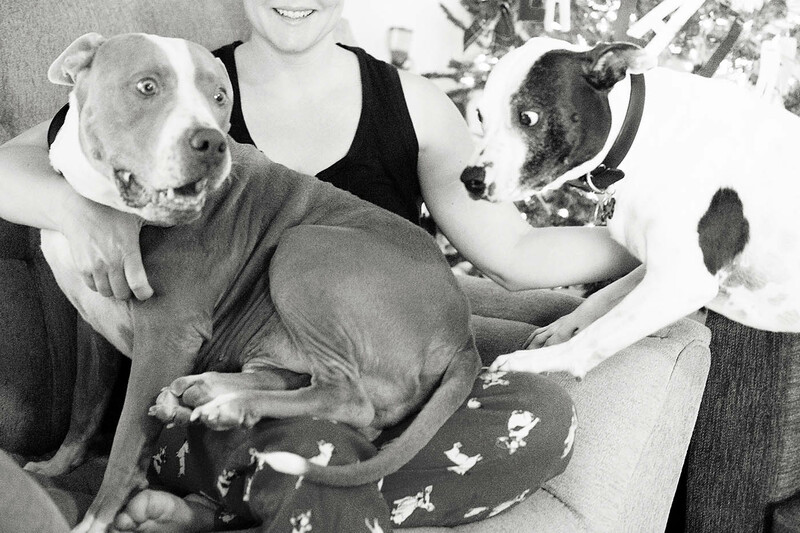 If you ask I’ll tell you all the cute, funny and obnoxious things my dogs did this week. How they climb in bed as soon as they hear the first alarm go off. 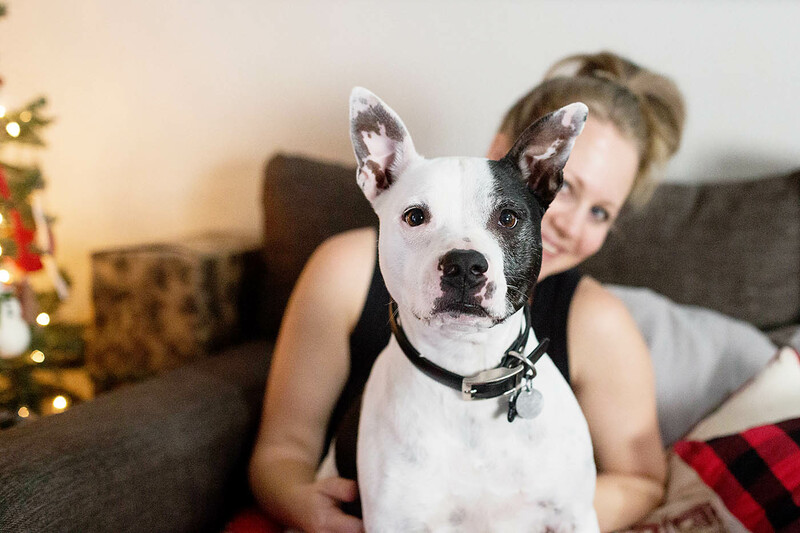 Our dogs have “voices” that we use when we make them talk. They are on our Christmas cards. I am a dog person. 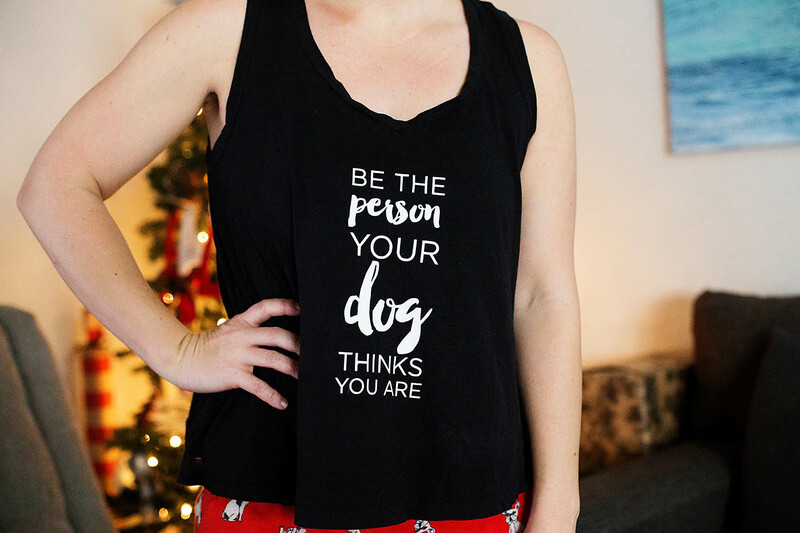 If you have a dog lover in your life (or you are yourself) I’ve got a cut file for you to make a shirt any dog person will love! If you don’t have a cutting machine, don’t worry I’ll have a printable file here you can use for iron on paper or to print and frame. 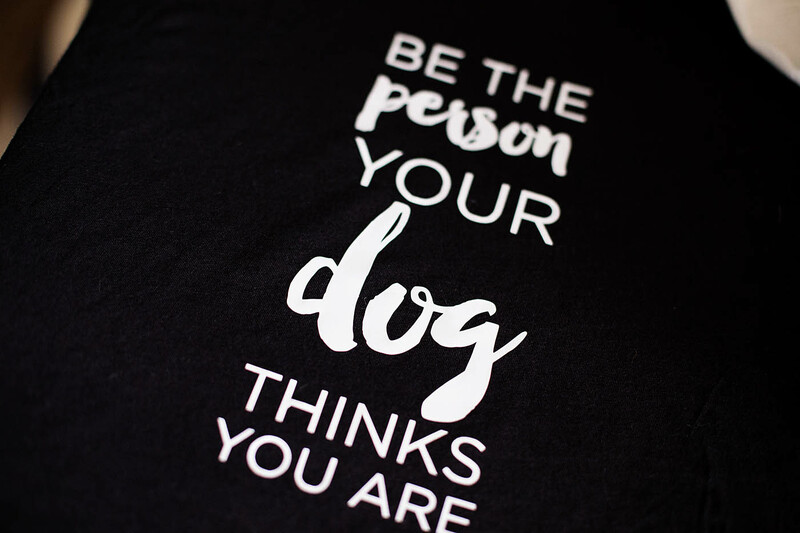 “Be the person your dog thinks you are”. I don’t know about you but my dog thinks I’m pretty awesome. Like, he’s going to DIE if I’m gone another second. I also have a dog that’s a diva, but she thinks I’m pretty awesome too. 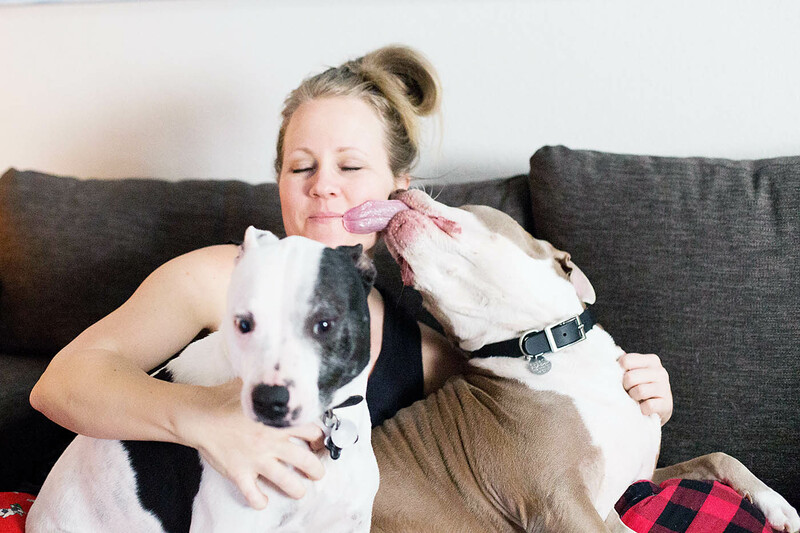 When putting together a gift for a dog lover, don’t forget the pups too. 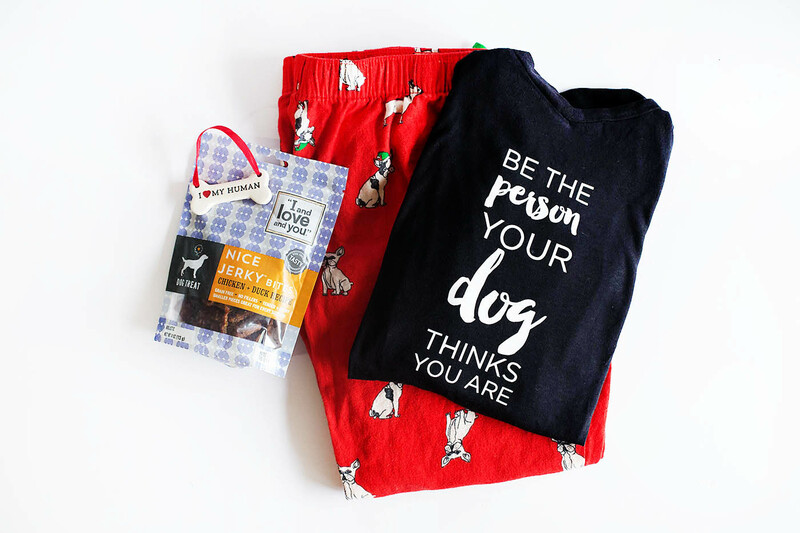 I packaged this tee, pajama bottoms, an ornament AND some I and Love and You treats. We also love to donate food to a shelter in our friends’ honor (dog people LOVE this). When making donations I can pick up a few bags of “fancy” dog food at Kroger (Fry’s around here) where I’m also picking up food to drop off. We’ve been donating to The Sojourner Center. The Sojourner Center has provided shelter and support services to thousands of women and children affected by domestic violence, and become one of the largest domestic violence shelters in the United States. One of the requests high on their list is for dog food and supplies. 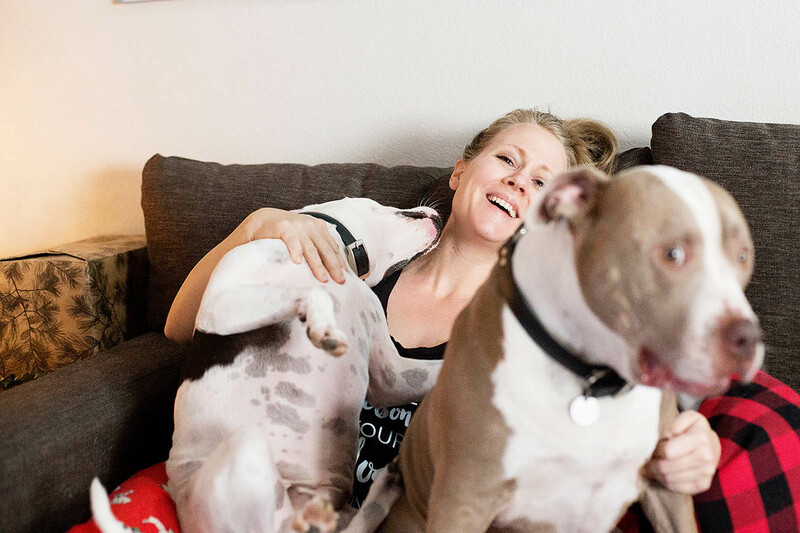 When women are leaving, they are starting over completely, hopefully with their furry kids in tow. I can imagine that grabbing a giant bag of dog food on the way out of a dangerous situation is NOT high on the list of “to do’s” for these women so we love making sure they have what they need. 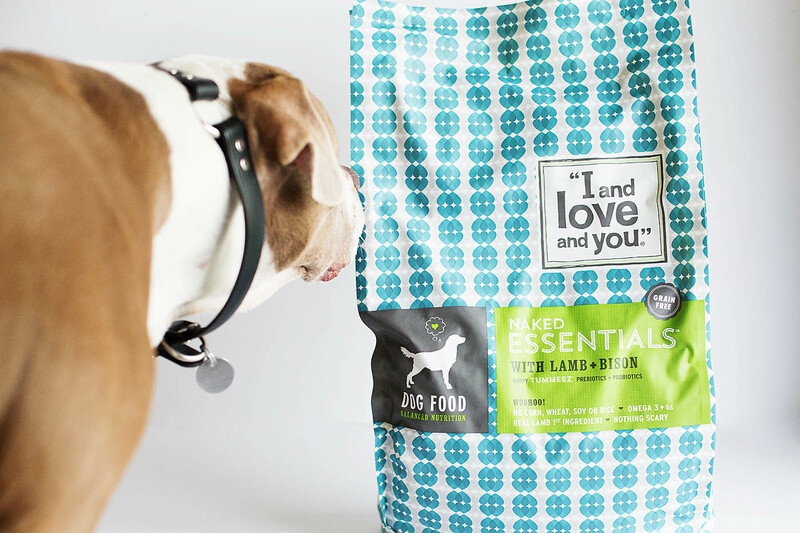 I and love and you Naked Essentials kibble is grain free (neither of mine can have grains), has real meat as the first ingredient, has no fillers and even includes digestive support: Happy Tummies (probiotics + probiotics). You can even check out how they compare to other top brands. Not only is it in grocery stores it’s also available online at Amazon and Target – anything to make life easier right?! Follow the instructions on the heat transfer vinyl you have for proper adhesion. 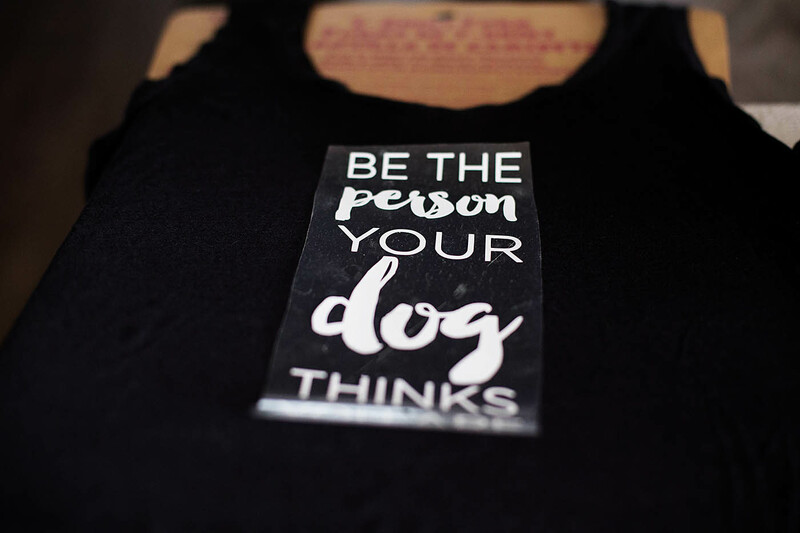 I made this one with heat transfer vinyl on a Gap tank, but any tee, tank, tote bag would work! Not making a shirt? 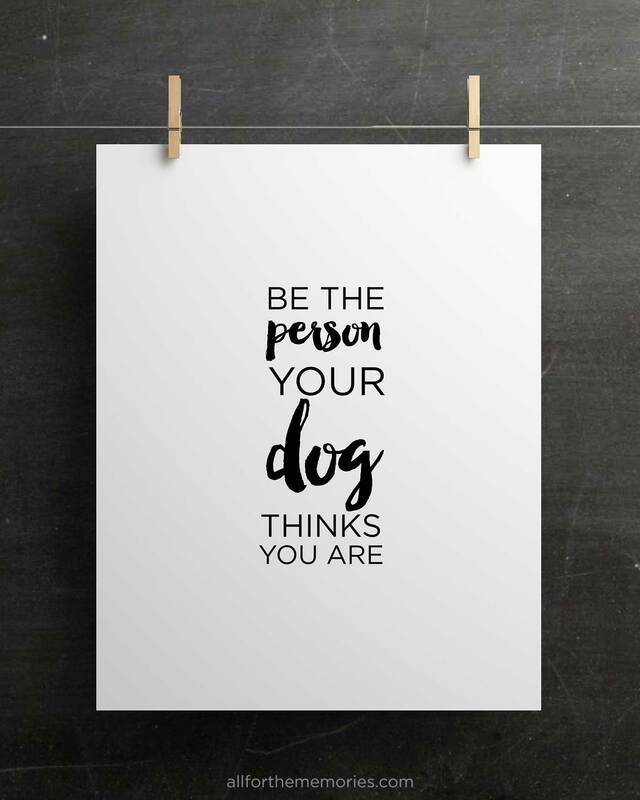 Here’s an 8.5″ x 11″ printable you can use with iron on paper or print out to frame. Whatever works for you! I love the quote! 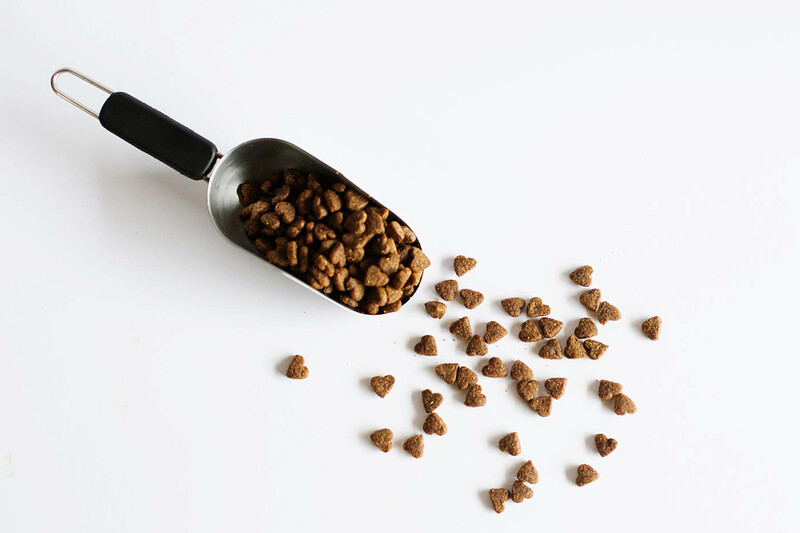 And donating dog food to a shelter is a great, out of the box gift idea for dog lovers. PS. 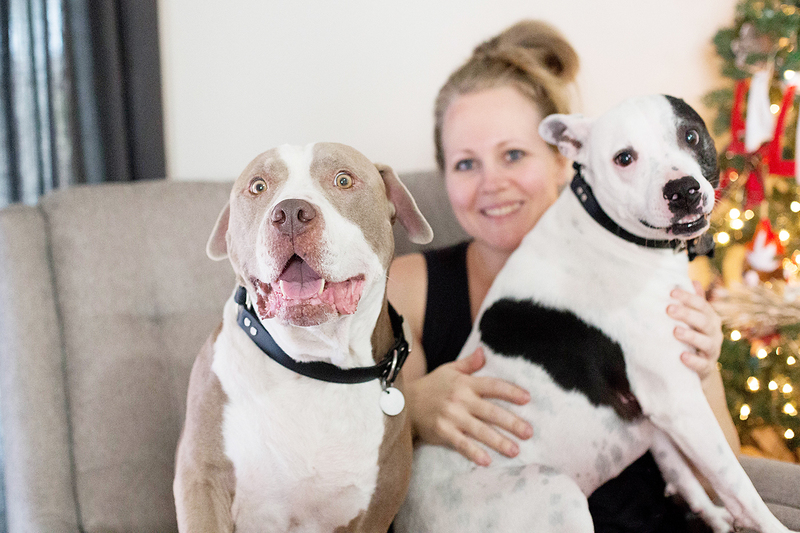 Your dogs are super cute.